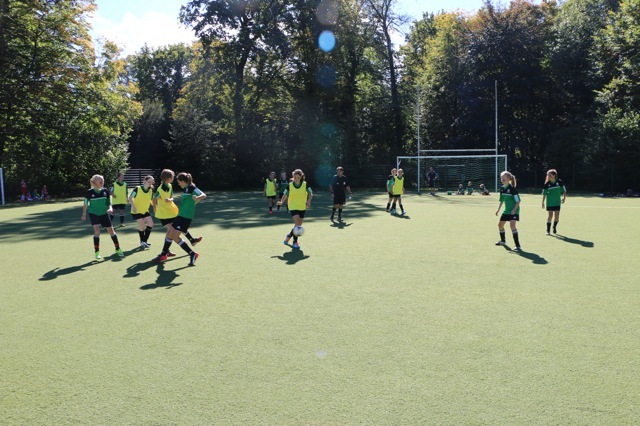 The junior girls teams A and B had an impressive start to the season last Sunday at the invitational football tournament hosted by LGB. 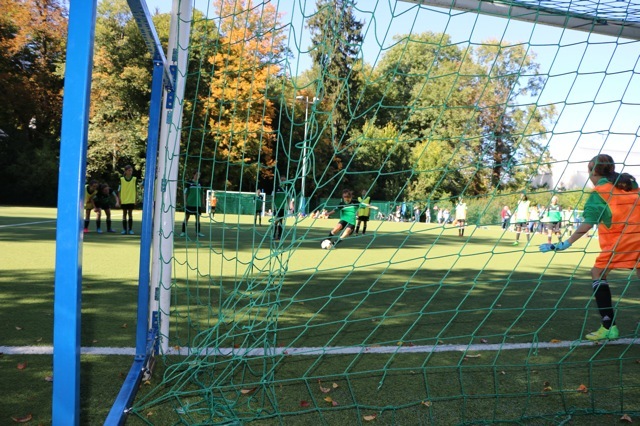 The A team won the first match against LGB 1­0 over penalties. A brilliant three penalties by: Esme, Natalie and Hannah and a winning save by Maia. The B team also won their first match against Mary­Mount with a striking shot from Linden. However, when the two teams A and B went head to head it was team A who took the crown, 4­1 with three killer shots by Natalie and a sneaky penalty from Lina. The A team went through to the final and the B team fought for 3rd ​and 4th. Sadly, both teams didn’t get where they wanted to be with the A team finishing 2​nd against LGB 1­-0 with a breathtaking shot from the other team ​and the B team coming ​4th ​against Mary­-Mount after penalties. Posted in Sports and tagged football, school team. Bookmark the permalink.